I passed my driving test with Brady. The driving lessons were conducted in a calm and conducive learning environment using the unique LD System. I was doing weekly two-hour lessons and this proved to be very beneficial as we managed to cover all the manoeuvres within the two-hour lesson. 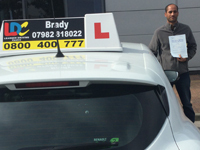 I will recommend Brady to anyone who wants to pass both the practical and theory test. I used the LDC theory DVD that I purchased from Brady and it was very good, I passed my theory test with ease. 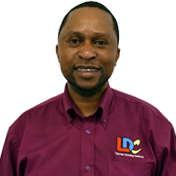 I'm a driving instructor in Wakefield, Castleford, Pontefract, Nomanton, Osset, Dewsbury, Mirfield, Leeds and surrounding areas.